VERMONT ACADEMY is the defending Girls Prep D2 champions. The Wildcats head into the new season with a new coach in Chris Ardito. As we drop the puck on the 2018-19 season, several teams can legitimately say they are a serious challenger to take this year’s Girls Prep Division 2 title. There is not much that separates the top handful of teams. It should make for an interesting year. HNIB News has tabbed Brooks (12-6-5) as its pre-season #1. The Bishops bring back a veteran nucleus that earned the #3 seed in last year’s post-season tournament. 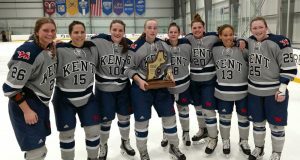 Included in that group is senior goaltender and St. Anselm commit Caroline Kukas, last year’s D2 Player of the Year and two-time All NEPSAC first team selection. #2 Vermont Academy (35-2-0) had a magical run to its first-ever New England title last year. 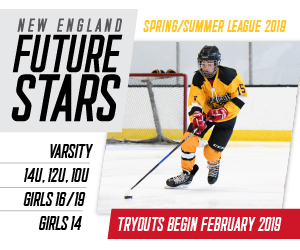 The Wildcats lost some key players from the club, but do return junior Krystyna Kaltounkova, who should be amongst the premier offensive threats in the Division. She had a hat trick in last year’s title game win over Rivers. 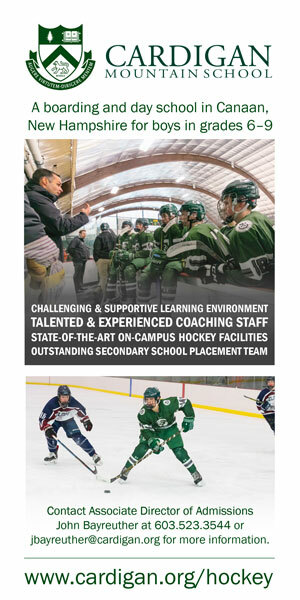 They also have a new head coach in Chris Ardito. Rivers (20-3-0) is a solid choice at #3. The Red Wings are solidly entrenched as a D2 power and hope to be in the mix come March. 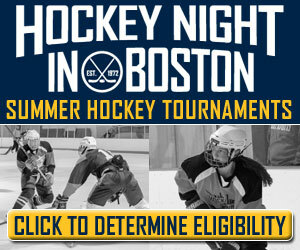 Keep an eye of #4 St. George’s (12-11-1), like Brooks and Rivers, from the ISL. New head coach Ryan Mulhern inherits a club with talent at all positions. 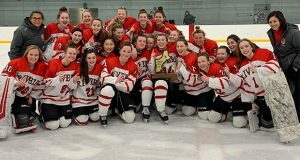 2017 New England champion Worcester Academy (18-8-1) will be right there, led by junior forward Ciara Wall, a University of New Hampshire commit. 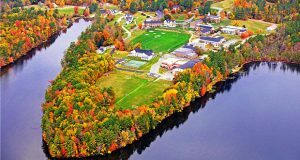 In addition to Ardito at Vermont Academy and Mulhern at St. George’s, other new head coaches at the D2 level are Jamie Smith at Brewster Academy, Erin Brawley at Greenwich Academy, Kathleen Ftorek at Hebron (second stint), Nicole Bartlett at Holderness, Erica Shapey at Millbrook, and Claudia Barcomb at Governors Academy.